This will be a treat for your ears! 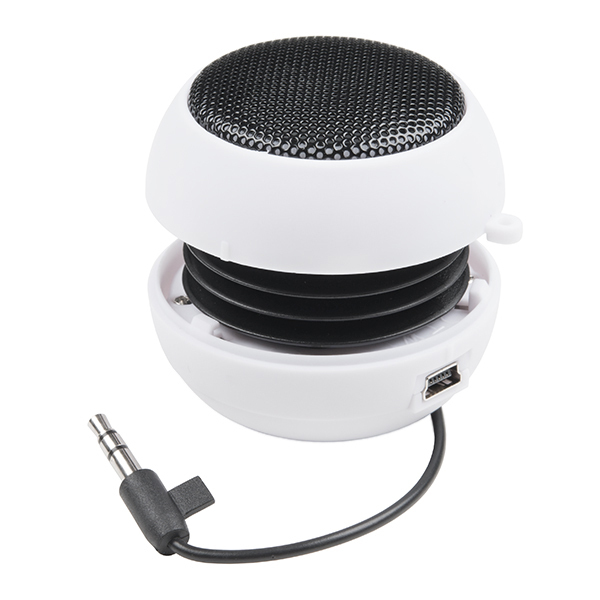 The Hamburger Mini Speaker is a 3W economical speaker option for any project needing stand-alone sound. The Hamburger features a built-in lithium polymer battery for portable application, a 3.5mm stereo jack (sorry, iPhone 7 users) and two volume options (quiet and loud) to control how loud your sound needs to be. This speaker really can't be compared to a good pair of JBLs, but for the price point the Hamburger won't break the bank for your next audiophile project! We use this amplified speaker quite frequently with our Spectacle Audio Board and Sound Kit, but that doesn’t mean you can’t find a different use for it! Could you sell the board inside of this separately? If not, would I be able to upgrade the speaker and battery without worrying (too much) about the board's specs? I might upgrade to a speaker from a nice soundbar someone threw out, and a 2Ah battery. 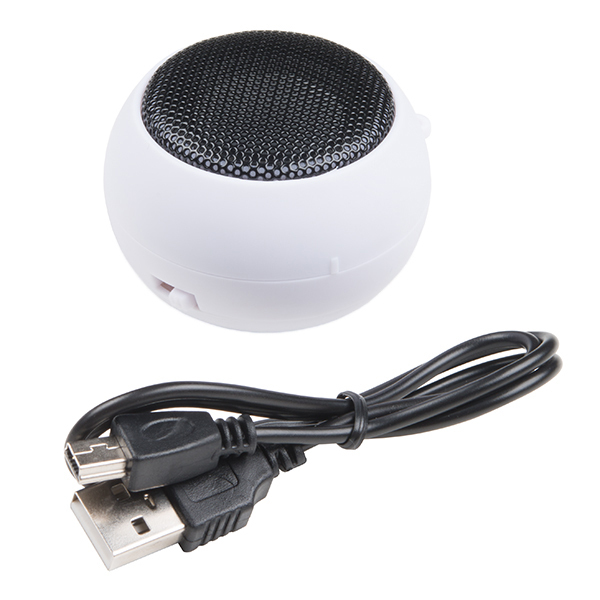 Can this play audio from the USB instead of the audio jack? Could you make a large one with 500mah? We don't actually manufacture this, we just resell it. We'll keep an eye out for an extended runtime version, though! It's on the quiet side but loud enough to be heard across a small room, which is all I needed. It does pick up buzzing noises from dirty power pretty easily, so you have to be sure you power it from a reasonably good USB port, ideally attached directly to a grounded outlet. I use this for a very simple application, testing coax. I made a couple of adapters to BNC connectors. 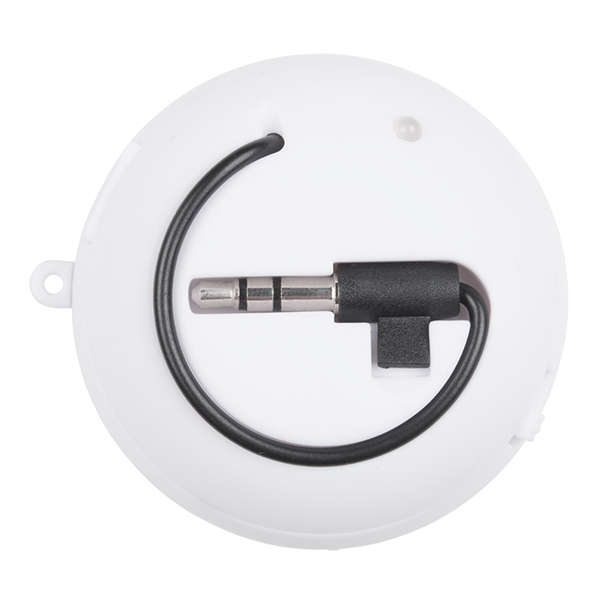 Then for the coax runs, put in an audio signal (from a handi talki tuned to National Weather Service) at the close end and the speaker at the far end. If you have it bad connection it show up as scratchy or no audio. Small and lightweight, easy to transport to a job site. Make a very good first quick and dirty check for continuity. For the equipment I work on, there are 48 transmit cables and 48 receive cables. Sorts out the good and bad connections quickly.